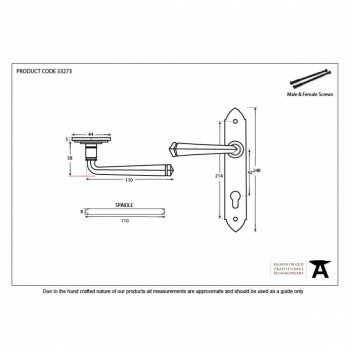 The Espagnolette version of the Gothic handle is designed to be used in conjunction with Multi-point Locking Systems and Euro Cylinder and allows your door to be locked from inside or out. Ideal for traditional timber or the more modern composite front doors or ideal replacement of existing Espag. handles. 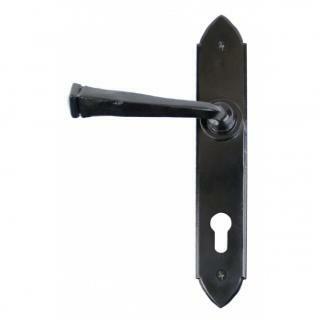 The handle is 'unsprung' to allow the upward locking movement needed with multi-point locks. 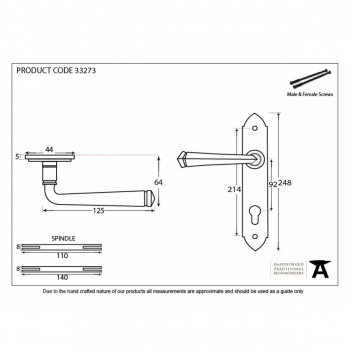 It has standard centres of 92mm to work woth all espagnolette locking systems (see above link).